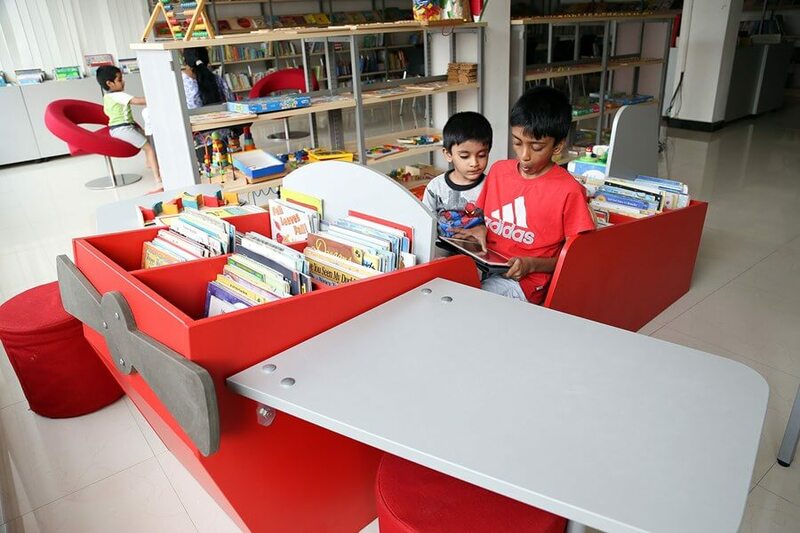 Kids are curious and want to discover the world in their own way. Send them on a discovery with the Reading Plane. It is fantastic to dive into unknown worlds and lose oneself endlessly above the clouds. The divided fuselage allows the little pilots easy access. The dashboard serves as a comfortable book rest. The flat back and high front body allow for storage no matter what age level or height range. 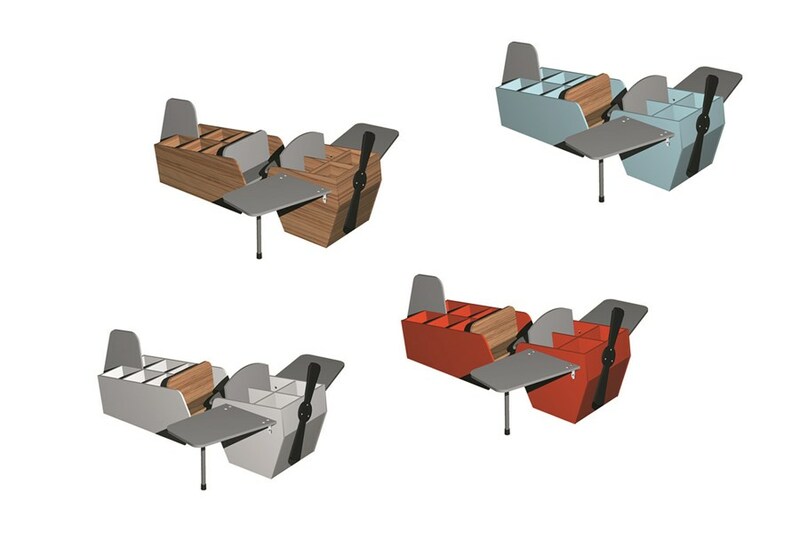 Aligning two reading tables in the shape of the wings is extremely practical. 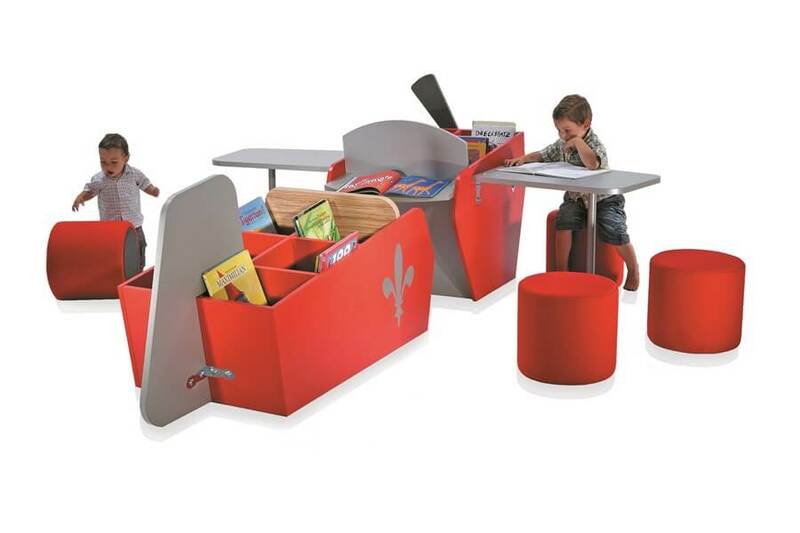 This creates exciting selection and reading options whether standing or sitting, with a direct connection to the storage areas. For safety reasons the propeller is fixed. 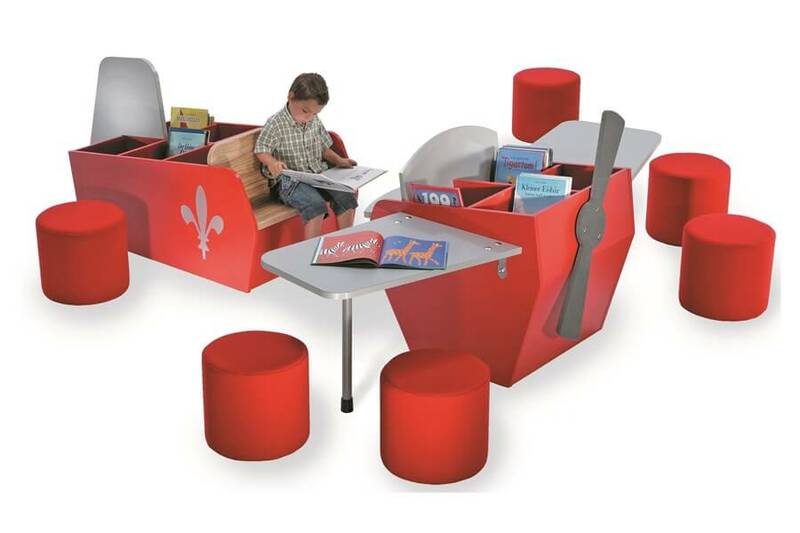 The plane can be placed free-standing and can be combined with supplementing accessories such as seat pillars or additional picture book boxes.